... when we started looking for a wedding photographer was ending up with a set of photos that looked staged or wooden, and that really didn’t give a true representation of the day. We made the decision that the photography would be one of our biggest investments in the wedding, so spent a lot of time researching the style we wanted, and looking through portfolios and galleries online…and we’re so glad we did! 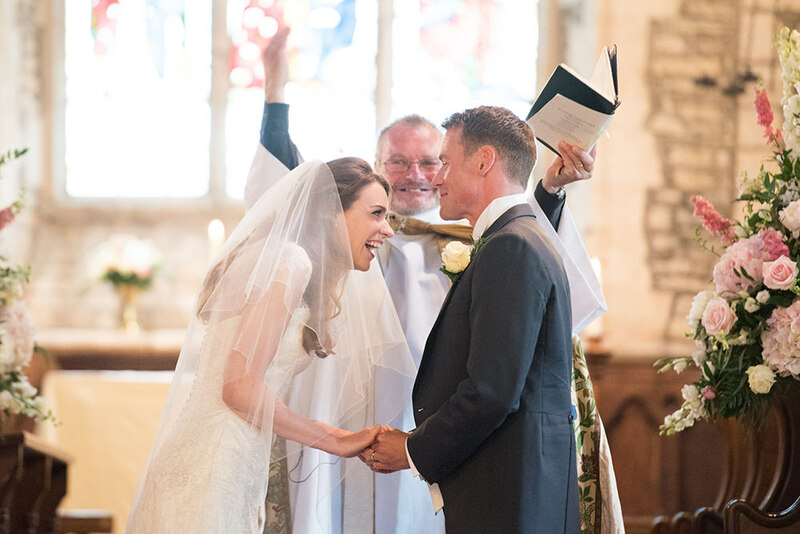 Our worries were completely assuaged by Sarah and we have a beautiful set of photos that wholly capture both the elation and love on the day, as well as the details that we put so much effort into. We were in absolutely no doubt that Sarah ‘got’ what we were looking for. We actually came across Sarah after she photographed one of my school friend’s weddings exactly one year (to the day!) before our own. The lovely, relaxed style of the photography, coupled with the personal recommendation put her well on our radar, and after our initial meeting; as well as being a lovely person herself; we knew that she would be the perfect fit on our wedding day! Alongside the love we felt for each other, our pictures remind me of all the joy we felt at seeing family and friends. 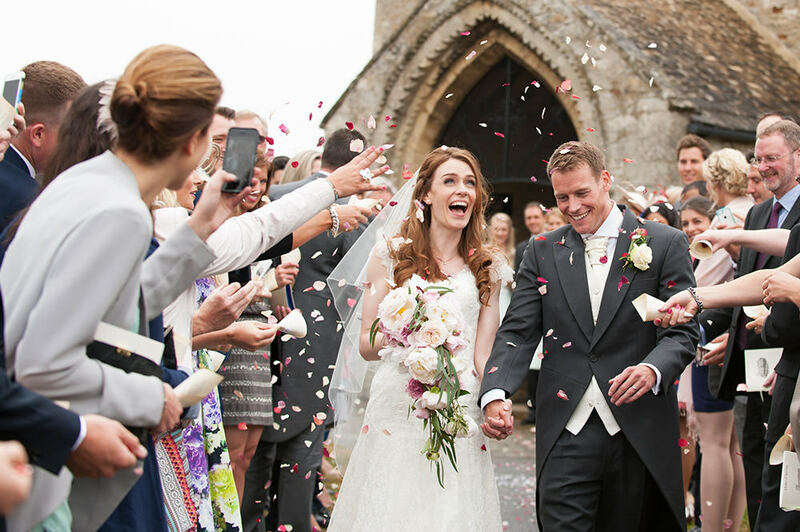 Funnily enough, Sarah knew several of the suppliers involved in our wedding, and everyone spoke so highly of her, which filled us with confidence. Going through the photos after the wedding was a real highlight, it was like reliving the day all over again, as well as having a peek into each other’s mornings where we weren’t present! The pre-wedding shoot was a real laugh (and actually a lovely day out) after we got over our initial nerves and discomfort. Each time we received some post from Sarah, it was always such a treat – beautifully presented and such a pleasure to open. 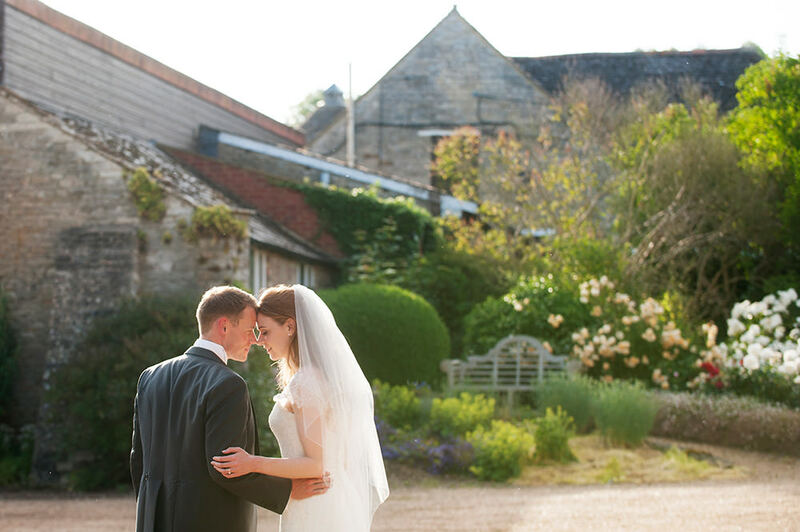 We’d recommend Sarah without hesitation – she is so knowledgeable and brilliantly captured the day; we barely noticed her getting the most beautiful shots. The group photos ran like clockwork, and we felt in very capable hands at all times.